Note: This super challenging workout was created by Greg Amundson and Mark Divine during Greg’s recent training event at SEALFIT. The average total number of Pull-ups completed by the SEALFIT Athletes and SEALFIT Coach’s was 70. Greg’s total was 85. Best Greg’s score on this workout with prescribed weight and get a free CrossFit Amundson T-shirt! Rest up to 3:00 between rounds. Men’s prescribed Kettlebell weight is 53lb. and women’s weight is 35lb. Heather is Athlete of The Week! Congratulations to Heather who was recognized as Athlete of The Week. 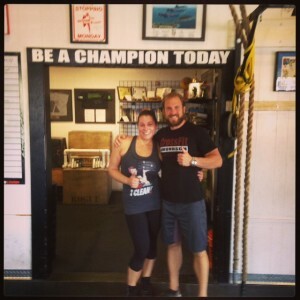 Heather has been training at CrossFit Amundson for nearly two years. Her mental focus, determination, consistency and progress have been an inspiration to the Coaching staff and all the Athletes. 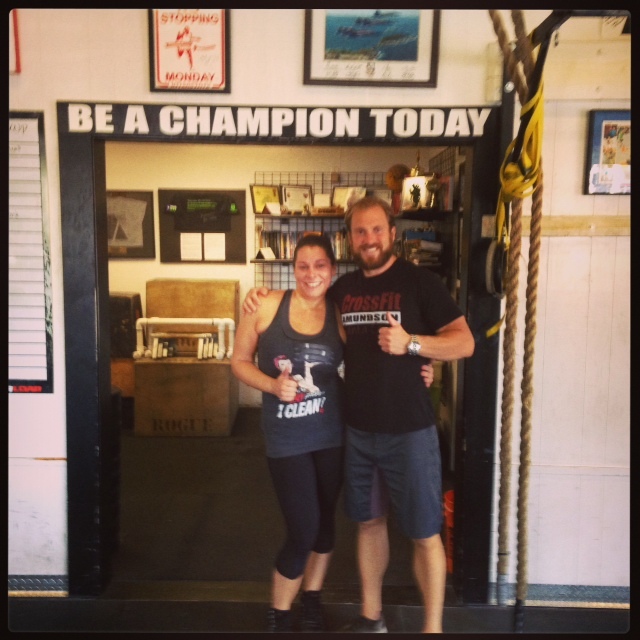 Heather is extremely strong and regularly posts top female scores for the Bench Press, Squat, Deadlift and Press. Congratulations Heather on all your success, and keep up the inspiring work!